Get Pre-Approved – If you’re in the market for a Loft now, DO NOT HESITATE … get pre-approved by your lender. Different from “Pre-Qualified” (which just means that you have the potential to be approved if there are no hidden skeletons in your credit closed), a pre-approval means that a lender has investigated your background and credit history and is willing to loan you money. At the end of the pre-approval process, the lender will give you a Pre-Approval Letter indicating the amount they are willing to loan you and the most likely interest rate in current conditions. What this does for you – Having a pre-approval letter means that you know what price Loft you can afford. It allows you to shop for Lofts at that price or lower. It also gives you bargaining power with an anxious seller. He may be willing to reduce his price for a sure thing rather than wait for a better offer and miss his chance. If you wait for interest rates to go up, you may have to settle for less Loft for the same payments. Terrific for Future Sales – If you plan to sell your Loft in the future, the rate increases will be in your favor because Loft prices will begin to rise and you can ask more for your property than you can today. The Feds resist raising rates until they think the overall economy is improving. Good News – Higher interest rates are good news for savers because over time the compounded interest will give you more money for that down-payment. 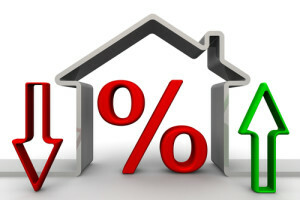 Just make sure to keep investing in your savings plan because rate hikes typically signify that prices in all areas of the economy will rise, so you’ll need a bigger downpayment for the same Loft.